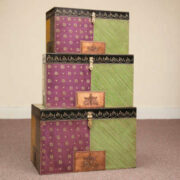 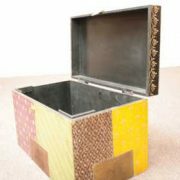 A practical and colourful storage box with embossed designs. 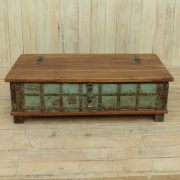 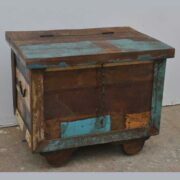 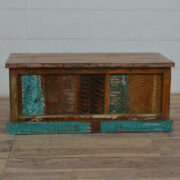 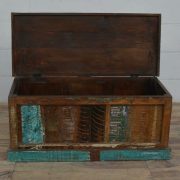 This colourful mango wood sultan’s trunk has intricate embossed brass designs on the front and corners, a solid wood lid, a large hasp, and vintage-style lightly distressed paintwork – mainly blue, with pale blue features. 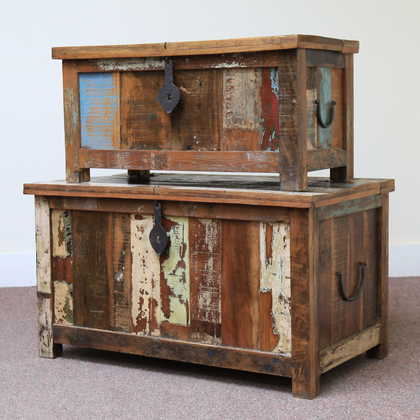 It’s a characterful trunk that is also practical storage: metal side handles make moving about easier, and square feet raise it off the floor. 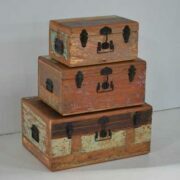 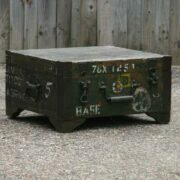 Good storage for blankets, keepsakes or toys. 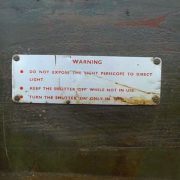 NB The rear is flat so it may work best against a wall.